This is my favorite pair of Virus leggings to date. The material is a little bit thicker than my others, and I LOVE that these have pockets. Got these along with the ECo33 in bay blue. Color is great. Fit is perfect. My roommate has multiple pieces. The ECo33 and these being the newest and she wants more. I'd say she's hooked! 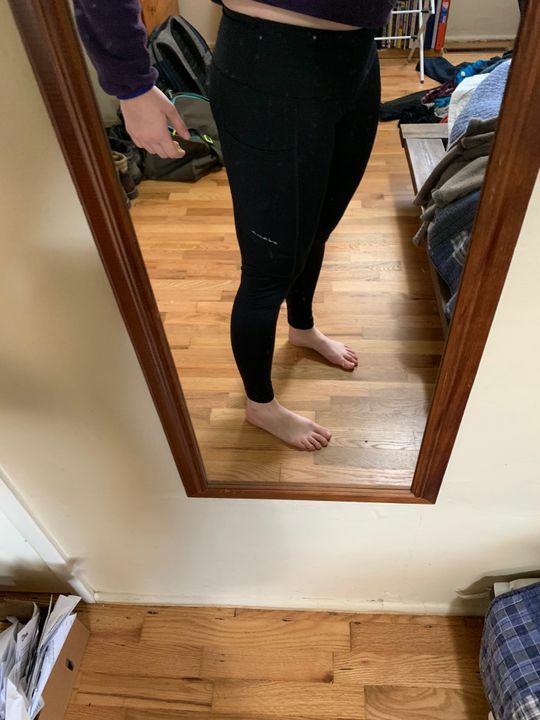 Pants are perfect they fit my weightlifter thighs and my waist perfectly!